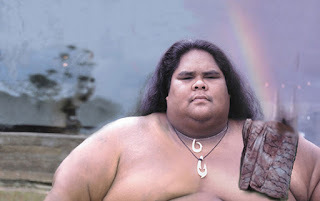 Israel Ka’ano’i Kamakawiwo’ole was a talented Hawaiian musician known for his ukulele arrangements. He was also a vocal supporter of indigenous Hawaiian rights. Israel was often called the “Gentle Giant” due to the fact that he had beautiful, soft singing voice despite his enormous frame. Sadly, his size was also his downfall, as his obesity led to a number of cardiac and respiratory issues, ultimately leading to his tragically premature demise in 1997 at age 38. His contributions to Hawaiian culture have firmly cemented his status as a Hawaiian legend.